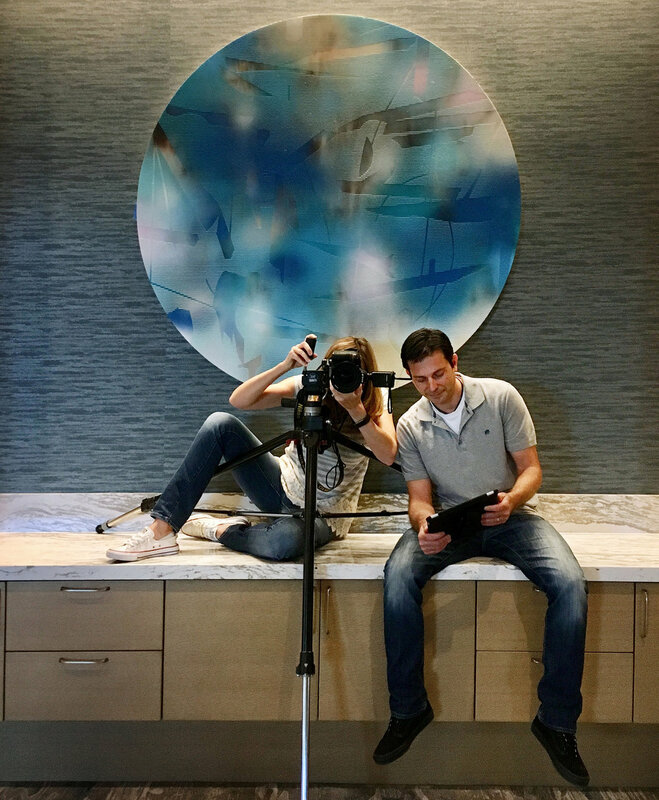 Auda & Auda is a team of two highly trained, deeply creative professionals who love documenting architecture in all its forms. Each project is visually captured through photographs that include big overall shots, medium views and all the juicy details. Their pictures are not only a record of each client's work, but they provide the means to market business, attain publication and compete to win awards. Kate, detail-oriented to the max, hones right in to understand each client’s needs and then knows how to put the plan into action. She translates each client’s design vision through the lens. Like Michael, Kate is also a lighting expert who knows how to create depth and balance in a photograph. An introvert who pretends to be an extrovert, Kate grew up in California and Colorado. Before motherhood, she was a ski bum and water skiing is like walking on water for her. She is not a fan of chewing gum, but loves to read, especially historical fiction, and travel. Kate is a runner who often participates in San Diego’s Rock n’ Roll half marathon and San Diego’s Finest City race. Michael brings the “big picture” to every project and prides himself on his ability to do whatever it takes to get the job done. His expertise in lighting provides the ability to create mood and drama to his images. His knowledge and talent for retouching sets him apart. Michael is fluent is Italian — his parents emigrated to the USA from Italy just before he was born — and he learned English, along with his mother, at the age of four. He’s a great cook and loves to garden. Michael is a former ski bum who hates cheese, but loves sushi. He learned how to bottle wine from his nonno in Northern Italy’s Piemonte region and hiked a large section of the Appalachian Trail with his dachshund, Bella.